Canada immigration process demands multiple documents from the applicants, especially, if you are applying for permanent residence. Some of these documents you require to register your profile in Federal Express Entry system or any similar immigration program, i.e. IELTS Test for English Proficiency and ECA (Educational Credential Assessment) to verify your qualifications obtained. 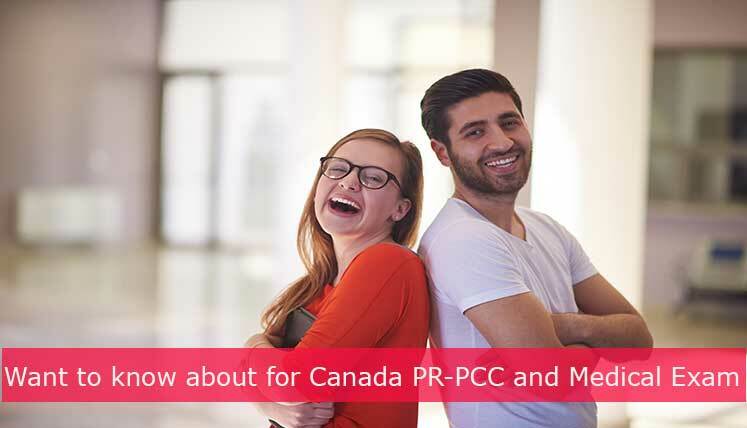 On the other hand, there are certain documents, which you need after receiving Invitation to Apply for Canada PR from IRCC (Immigration Refugees and Citizenship Canada). We are not talking about the general documents, that you submit with your application, i.e. passport/travel documents, photograph, employment records, proof of funds documents, etc. There are two distinct documents you require submit after receiving the ITA, i.e. PCC and Medical Exam Certificate. There two key documents which you need once ITA (Invitation to Apply) for Canada PR has been received from IRCC. You get 60 days’ time to submit complete Canada PR application. Usually, after submitting your documents, you are asked to provide a Police Clearance Certificate and Medical examination certificate. Express entry is the largely popular Canada PR program, so in this page, medical exam process has been explained in the context of the same. Here are some key instructions you must follow to before going for a medical exam for Canada PR (Express entry). You are advised to complete your medical exam as soon as you get your invitation to apply. It is suggested to complete the exam as close as possible to the date you submit your online application. The panel physician will give you an information printout sheet and IMM 1017B Upfront Medical Report form. Submit a copy of these documents when you apply online. Obtaining the Police certificate may take a longer time. Hence it is advised to ask for the same as soon as your profile is in the pool. In case you received the ITA for Canada PR and you still don’t have the same, you should ask for it straightaway. Here are few key points to note down with regards to PCC. You may not be allowed to enter Canada if your criminal record is found. Police certificates need to be the scanned copies of the original certificate(s) in colour. To get complete Canada PR documentation process assistance, you may get in touch with Visas Avenue Immigration- a genuine and registered Visa consultancy for Canada immigration and PR. You may call Visas Avenue certified Immigration expert on Toll-Free Number- 78-18-000-777. Alternatively, e-mail your queries to Visas Avenue e-mail id- info@visasavenue.com.